Stuff the Truck for Marland Children’s Home! 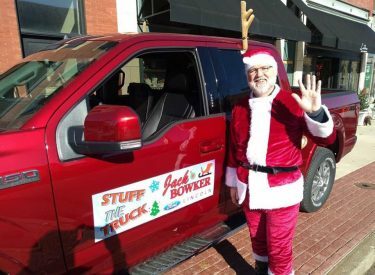 Help Stuff the Truck with gifts for the Marland Children’s Home. The home is managing more than 250 foster children this season. Tuesday- Los Portales 4:30 -6:30 p.m.
Wednesday- Ground Round 4:30- 6:30 p.m.
Thursday- Freddys 4:30 – 6:30 p.m.
Saturday- Walmart 11 a.m. – 3 p.m.